A brilliant season for the Division 5 team saw them lose just three games throughout all competitions including league, cup and top four. Following their fourth place in the league the previous season the team were eager to improve on their six games loss the previous season. They set out to seek league honours and challenge last years champions Balbriggan. Preseason training was well attended with over 15 players competing for a place on the team before even the first jump ball of the season occurred. A tight zone or an intense man to man was a feature of their game throughout the season. With a full bench each member of the panel contributed to the success of the team. The strategy for the team was one of pressurising the opposition throughout games. This constant pressure and utilising a fast break strategy was only possible through the constant rotation of the bench. All the squad playing their part throughout the season and each played their part to realise the success of the season. Michael Dempsey was court captain and his leadership was required when the team were in tight game situations. He back this up with his robust defence and threat within the key. Shane McGrath was top scorer for the season. His off the backboard shot and fast breaks were a significant contribution to many of the team victories. Carl Brady joined the team from Glasnevin this year. His contribution of aggressive defence and fast breaks were short lived as he was an early casualty to a knee injury. Darren Woods and Aidan Maughan shared the responsibilities of intense man to man defence duties on the opposition key players. Aidan came to the rescue with a 23 contribution during the top four semifinal whilst Darren’s outside shot proved clinical in many games. Rob O’Callaghan was instrumental in controlling the games both on and off the court. His steady and calming influence was back up by his long range shots. Vincent Dempsey was the versatile player with speed and strength both in offence and defence. His rebounding was a feature which allowed the team to retain possession or fast break. Ball handling duties were shared by Wolfgang Villalba and Santiago Olano. Both had a change of pace and sharp shooting. Santiago departed from Ireland prior to Christmas and the opposition were happy to hear he was no longer a threat. Wolfgang stayed a little longer than Santiago but again foreign shores beckoned. Duane Cosgrave was a reliable and energetic squad member whose speed ensured he was on the end of many fast break. Forever found himself a threat under the basket. Joe Mc Loughlin was MVP of the division 5 team last season and again his strong inside play was a key feature along with his ball handling skills which were most effective in the later part of the season. Eddie Guilmartin was the multi tasking member of the panel as he was coach, player and captain. He was playing in his 40 season for the club and his outside shooting was his forte. Donal O’Connell transferred from Castlerea Kings and brought a towering height advantage to the teams inside game both offensively and defensively. He matched up to an any of the oppositions tall players with many a rejection to players in the paint. At the end of the season Donal was voted MVP for 2017 by his fellow team mates. The season commenced with convincing victories especially again Balbriggan and Lions who would both vie for league honours. A 14-game unbeaten run ended with an away game to Balbriggan but the league would always be a tight affair. The league title was in sight with only 3 games to play. Lions were joint leaders of the league and the game against Templeogue would be decisive as Balbriggan had amassed three losses during the season. An away game to Lions would virtually decide the league. Lions had home advantage and a full squad. Templeogue struggled to field a full squad but never allowed more than an 8 point difference to materialise. Templeogue rallied in the final quarter with well taken baskets and free throws. The deficit was reduced to four points, a victory was possible but Lions took the victory. The defeat was only the second one of the season and left both teams on equal points. Whilst it was a defeat for Templeogue the score difference between Lions and Templeogue over the two games was in favour of Templeogue by 6 points. Two games to go and the title was in Templeogues sights. The Ballyfermot Bulls was the last game of the season and they turned up with a full squad at their disposal. The Bulls made Templeogue earn the title and it was not until the later stages of the game that they took control and became league winners by a score line of 58 – 43. On the night team mascot and honorary captain Finn Dempsey, the son of Michael, raised the cup for the team. 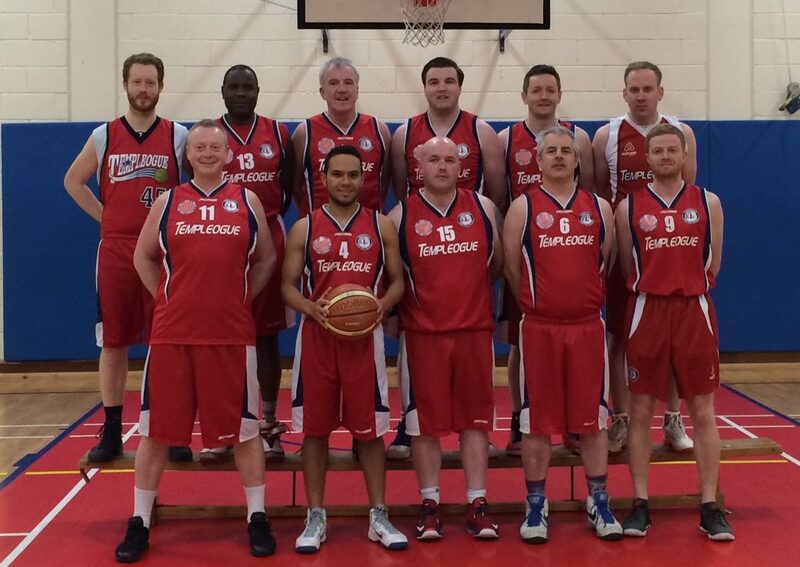 The team clinched the Dublin Senior Division 5 title for the Templeogue Basketball Club. The success has been a while in coming and the team were overjoyed to have made the jump from 4th to 1st in such convincing fashion. The cup competition commenced with an emphatic home victory to Ballyfermot Bulls. A very close game against UCD Marian was experienced in the semi final. It was only a 4 point victory that sent Templeogue into the cup final where Malahide awaited the team to be played in Inchicore. The Friday previous Templeogue ran out easy winners against the same team but the final was a different matter. Malahide were out to readdress their poor performance of the week previous. They took the lead early and maintained this until the third quarter but then Templeogue had a run of scores with no reply. A 56-43 score line meant Templeogue were crowned Division 5 Cup Champions. Having finished first in the league the top four competition matched Templeogue against Glasnevin. A competitive game in the National Basketball Arena would see Templeogue emerge victorious to meet Balbriggan in the final. Unfortunately Templeogue could not match the physical presence and fast break strategy of Balbriggan in the final and did not achieve a clean sweep of three trophies. It was none the less a great season for the Division 5 team, with 3 finals and 2 trophies, Cup and League Champions for 2017 was a great achievement. 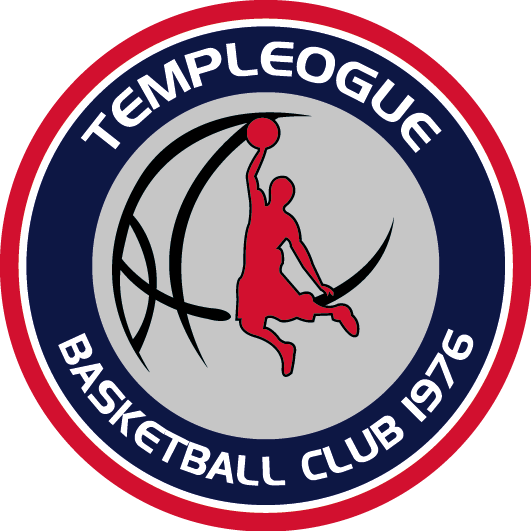 A special thanks to the Templeogue Basketball Club Committee, especially John Walsh, who assisted and supported the team throughout the season. Thanks also to the many club members who supported the team. Eddie Guilmartin, Michael Dempsey, Vincent Dempsey, Aidan Maughan, Joe McLoughlin, Robert O’Callaghan, Shane McGrath, Darren Woods, Wolfgang Villalba, Carlitos Fernandes, Donal O’Connell, Duane Cosgrave, Carl Brady and Santiago Olano.